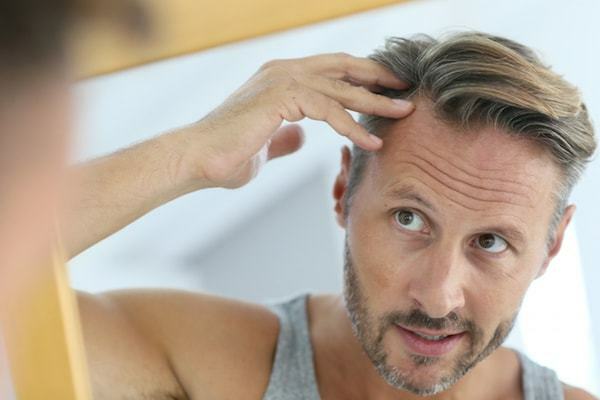 Many men experience severe hair loss as autumn begins to kick in, so we ask: what is seasonal shedding and how can it be prevented? Hair shedding often occurs in autumn season, but it doesn't usually last longer than a couple of months. It's normal to shed between 50 and 100 hairs a day. When the body sheds significantly more hairs every day, a person has excessive hair shedding. The medical term for this condition is telogen effluvium. Seasonal hair loss is actually very common, and research suggests that most of us have slightly higher rates of telogen during the month of July. Telogen is known as a resting phase for the hair follicle, which means that the hair is extra prone to shedding and falling out. The second most common time for shedding is during the month of October. What is a normal rate of shedding? Most people have about 100,000 hairs on their heads and lose around 100 to 125 hairs per day. This amount can increase substantially during the phase of shedding. One can lose up to five times the amount of hair in the peak of shedding phase, therefore the process should be very noticeable. How can shedding be stopped? Luckily, the shedding process is not permanent, and so after 6-8 weeks your hair should go back to its normal state. Unfortunately for hair loss sufferers (male pattern baldness), hair shedding can be quite damaging, and in many cases the amount of hairs lost are not retrievable. Men who are going through any form of alopecia should take the right steps to try and prevent the rate of hair fall and increase the rate of hair growth. What treatments can I use for shedding? Hair shedding can be treated with a number of different options. A good hair care routine should be an essential part of your autumn grooming plan, so be prepared to add a few products to your current routine. Multi-vitamin hair supplements like Viviscal, Nutrafol and HR23+ are excellent treatments to use all year round, but especially during shedding season. They offer your hair all the right nutrients and minerals for better hair growth and less hair fall. Hair thickening shampoos and conditioners may sound great, but they tend to be ineffective. However, the topical solution minoxidil could be worth considering if you are willing to risk the potential side-effects. When will I experience the most hair growth? Humans are much like animals in so many aspects of life, and hair loss is no exception. In a similar fashion to animals and their fur, we tend to experience the best rate of hair growth throughout the colder months of the year, to keep us warm. This is why many of us tend to shed more during the hotter period of the year, in order to keep cool.